Displaying product so that it creates a strong visual impact can increase sales. 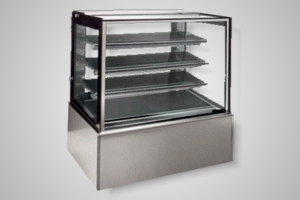 Fire & Ice carry a large variety of refrigerated cake displays that are designed to provide optimum product visibility. Select from range of sizes and brands with either square or curved glass.